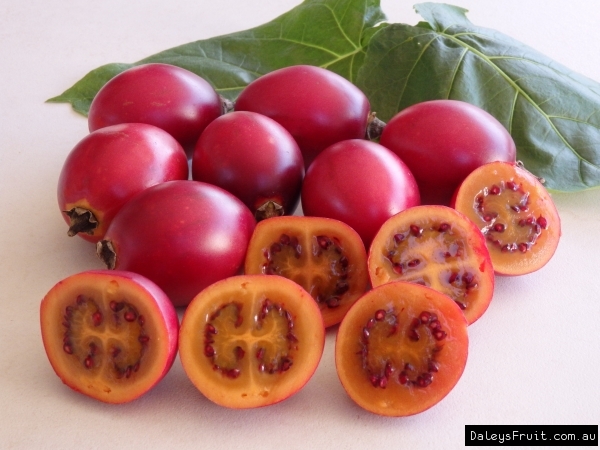 Tree Tomato is a fast growing small tree that bears heavy crops of red or yellow sub-acid succulent fruit. 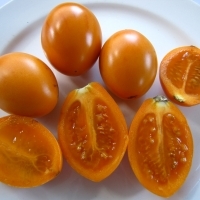 The fruit has many uses apart from being eaten fresh, such as being cooked in any way tomatoes would be cooked. Tamarillo chutney and jam is a taste treat. The yellow fruiting variety is usually milder and sweeter with slightly smaller fruit. Tamarillos are very quick growing and will crop in 18mths reaching a height of 2-3 meters. They require well drained soil and protection from wind and frost. 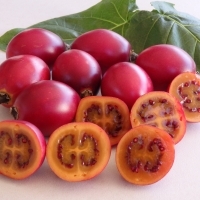 Tree Tomato is a fast growing small tree that bears heavy crops of red or yellow sub-acid succulent fruit. The yellow fruiting variety is usually milder and sweeter with slightly smaller fruit.